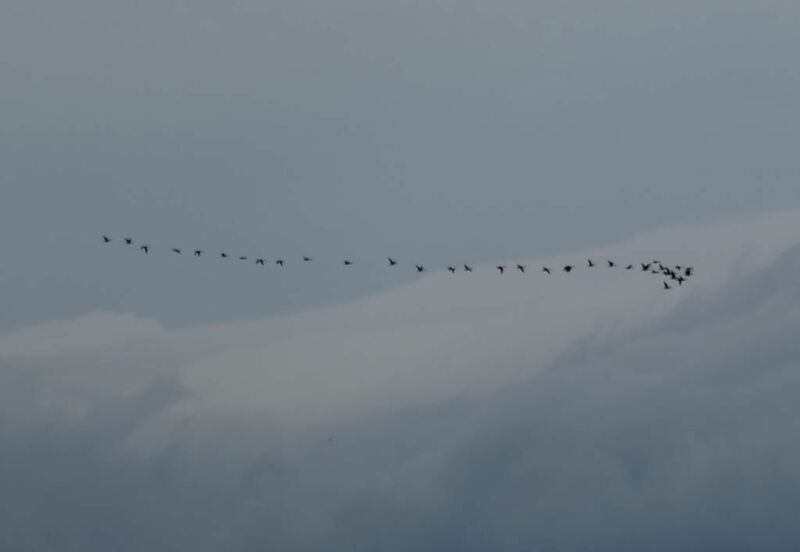 Geese fly in those gorgeous wedge-shaped skeins… but not this gang of 35 rebels. 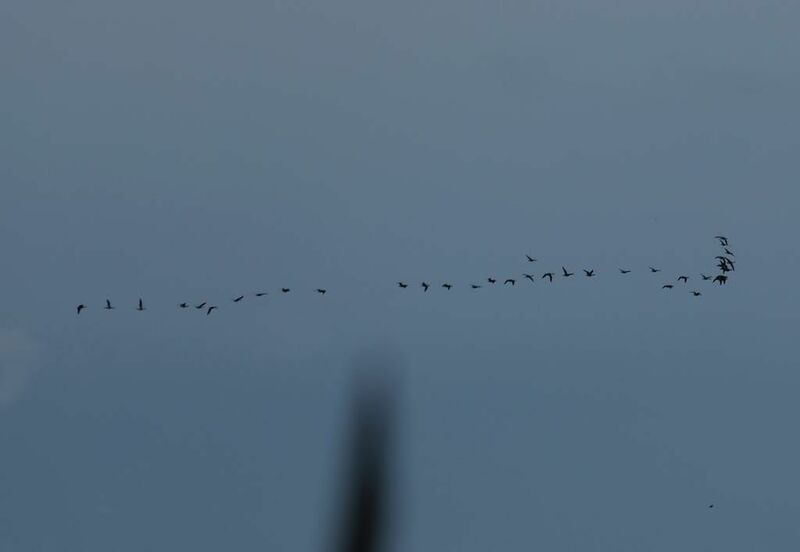 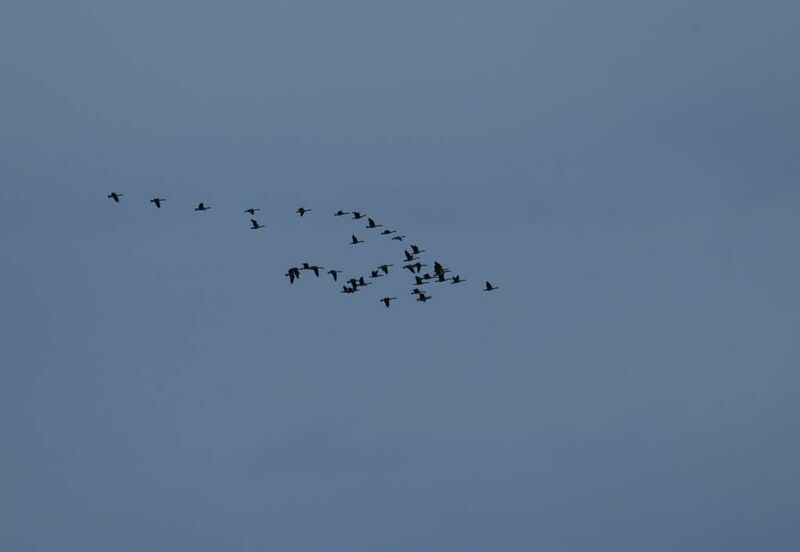 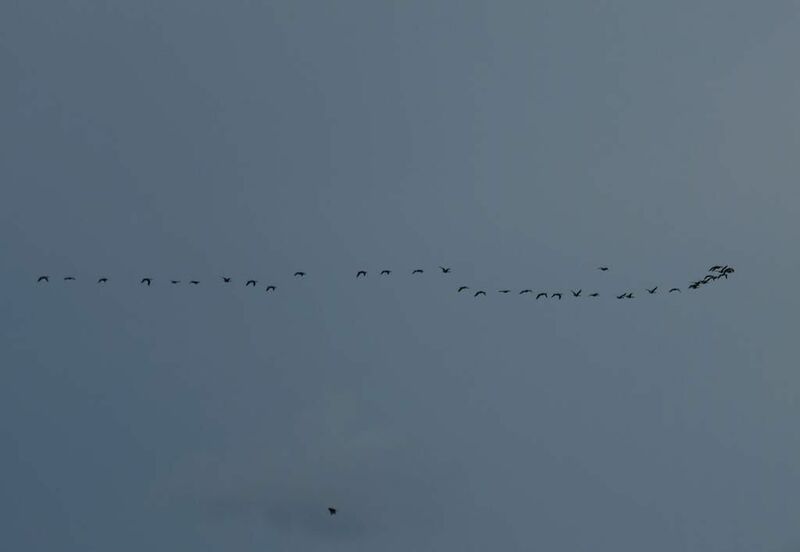 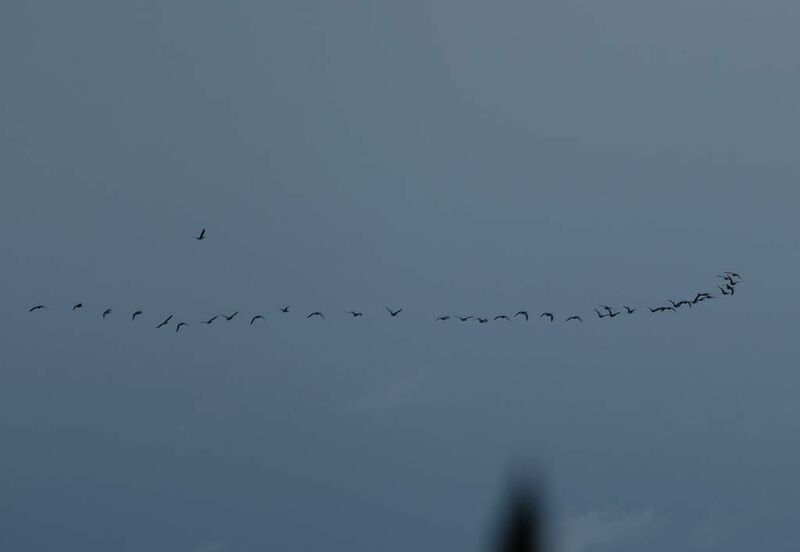 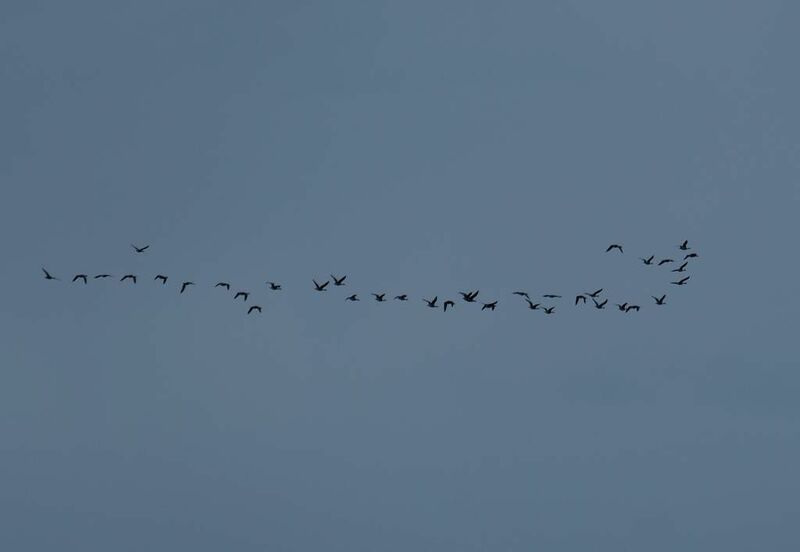 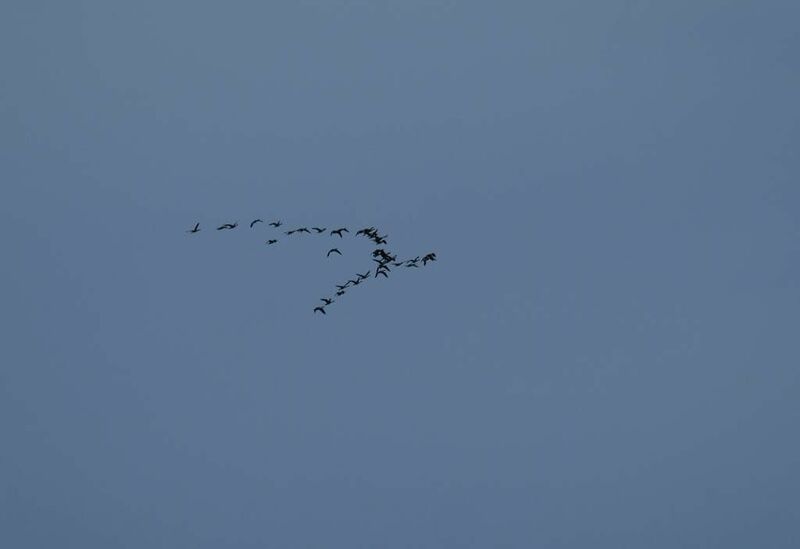 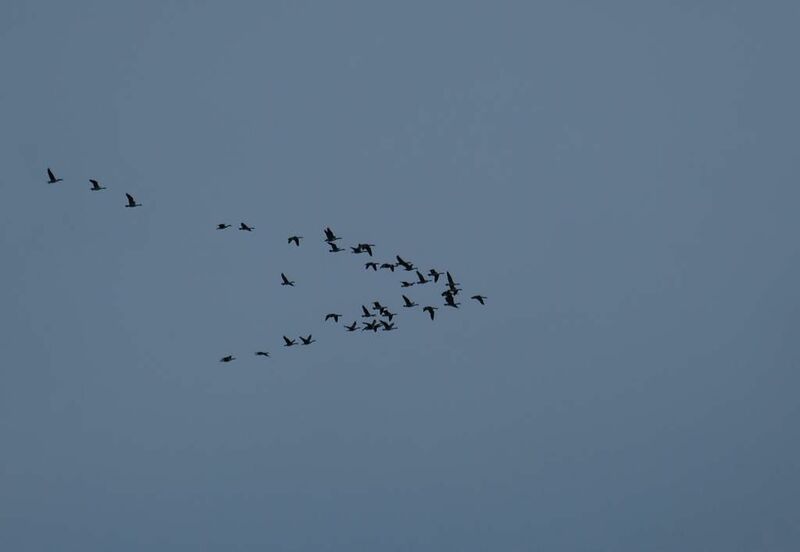 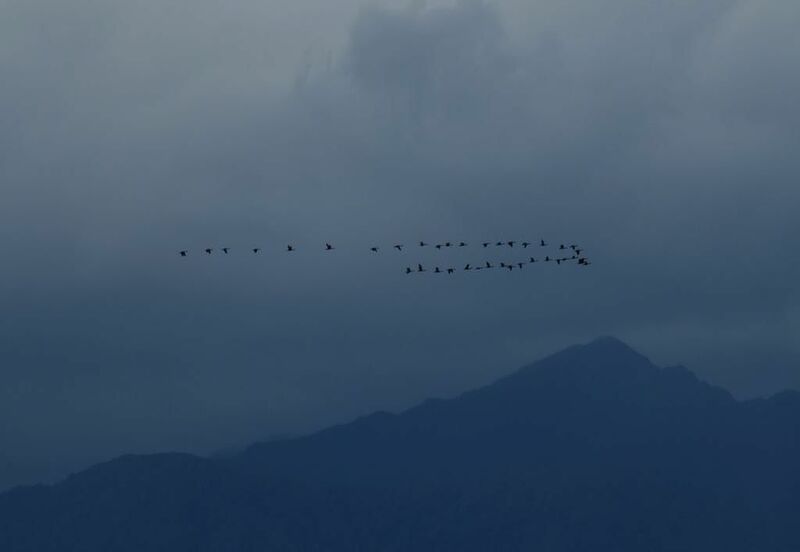 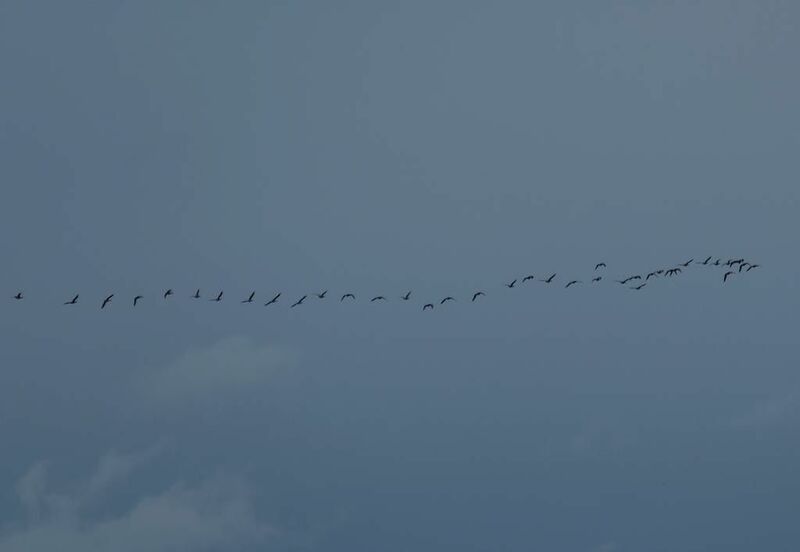 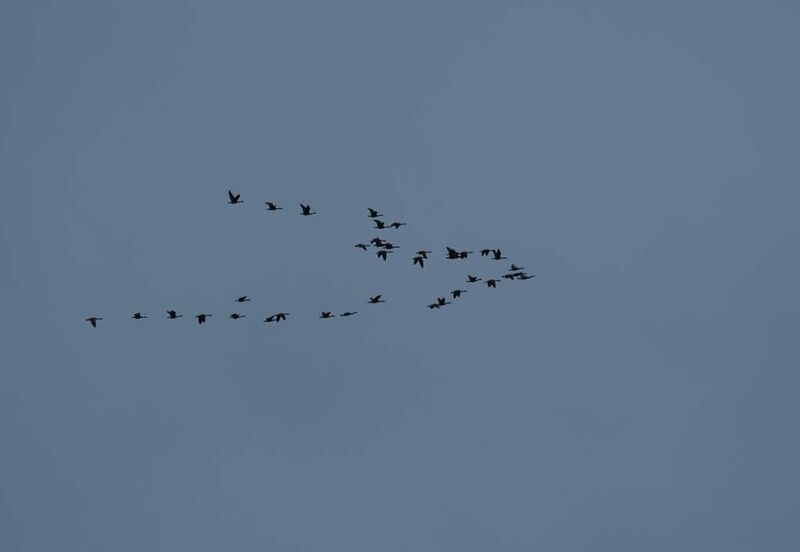 They were all over the place as they flew past today: clumps, lines, outliers, gaps. 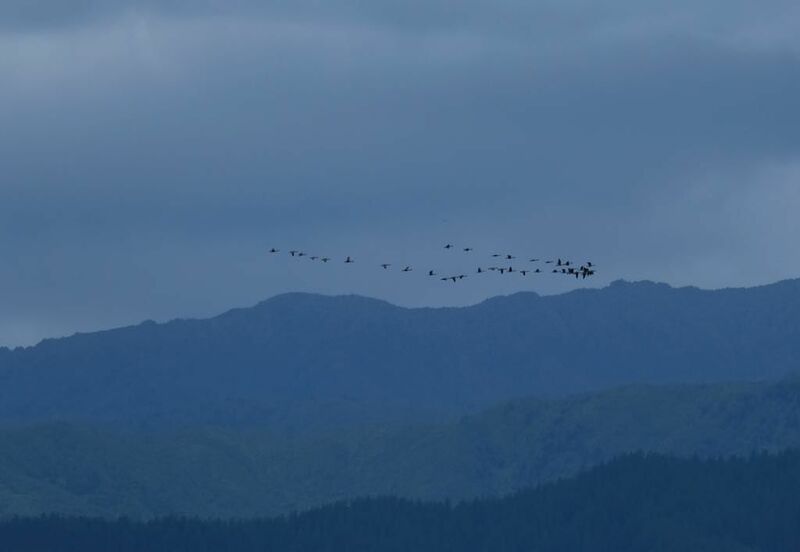 Just before landing they nearly had it, but still not really. 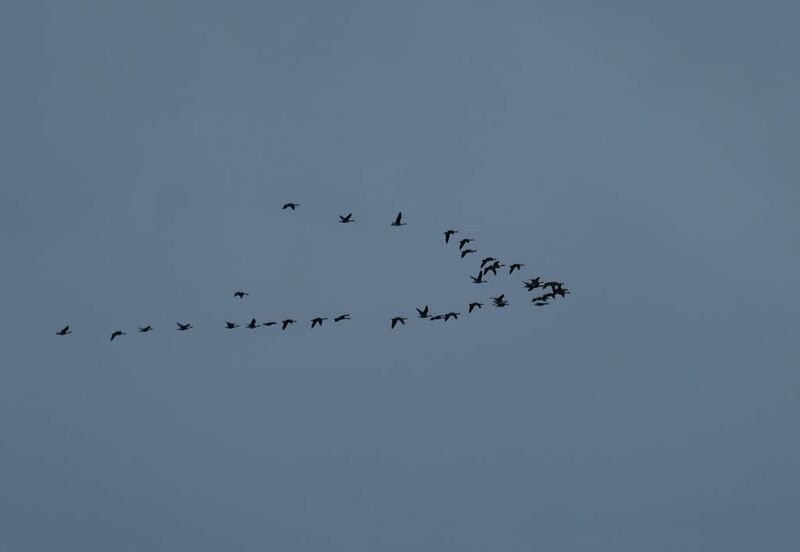 13 photos of geese not in a wedge.